When it comes to your kitchen, it is a place where family likes to gather and where you cook all of your meals. Since you spend a lot of time in here, you do not want to be frustrated with the way your kitchen is setup or with the materials used for your counters and cabinets. Fortunately, there are many luxury countertop options that allow you to enjoy cooking with the added luxury of stunning counters. In fact, slate countertops are a great option for homeowners and they will look amazing in your home. Before you go out and purchase the slate, let’s talk about the benefits that it truly offers. Slate looks amazing in your home and there is no doubt about that. You can match your countertops to your flooring, paint color, and décor with ease. You will receive compliment after compliment about your countertops. In addition, you can choose from a wide variety of colors from black to tan with highlights of other colors throughout. Slate is a non-porous material, which means that if you spill something on it, you do not have to worry about staining. In addition, the counters wipe clean with the swipe of a damp paper towel or cloth. Also, the slate does not hold on to stains from vegetable oil, wine, or tomato sauces making it a great option if you have kids. Slate countertops are also extremely durable and will not crack or break under the pressures of a busy kitchen. In fact, if you drag a knife across the countertop by accident, it will not scratch the surface. Slate countertops look great in any home and they provide you with the durability and versatility that you desire from your countertops. They are easy to care for and can withstand even a hot pan sitting on top. If you want to add slate countertops to your kitchen or you are interested in redesigning your kitchen space, the team at J. 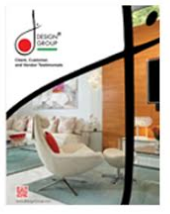 Design Group can help you today.